Consistency is the key in cricket, be it any aspect of the game. Consistent performances lead you to success in your career. When it comes to T20 cricket, consistent is tad too difficult to maintain. The format is too short and one finds it difficult to not get affected by the dynamism of this format. T20 cricket which was first introduced in 2003 as a form of the game, has grown by leaps and bounds. T20 cricket became popular more so with the advent of the Indian Premier League (IPL). Many nations which had opposed its existence, have adapted well to the format and have introduced T20 leagues. Many players have come and gone in T20 cricket. Playing for a team consistently over a period of time takes much patience, determination and effort. Who are the players to play most consecutive matches for a team in T20 cricket ? Well, lets see who makes the list and who does not. Gareth Cross is a wicket-keeper batsman from Lancashire. 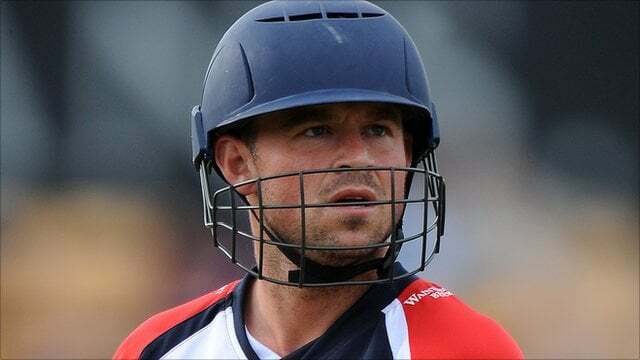 He represented Lancashire from 2006 – 2013, after which he moved on to his new team Derbyshire. Later he was released by Derbyshire at the end of 2014. He had his fortune when Warren Hegg was injured in 2005, and Gareth was told to replace him. He impressed with some decent work behind the stumps and with his adventurous batting display. It was the time when the shortest form of the game – T20 cricket was still in its foundation phase. But cards turned against him when Luke Sutton was preferred over him as the first team wicket-keeper. It took a great deal of time to recover from the frustration and depression, but went on to have some reputation as a pinch hitter at the top. He has played 87 T20 matches consecutively for Lancashire, thanks to his explosive instincts as a batsman.